Whether you are a dog lover or a cat lover, as an animal lover you will likely agree- our pets are an extremely important part of our lives, and are often just like members of our own families. They lovingly greet us each and every time we arrive home, they sit with us and share in our most private thoughts, obey our every command, and let’s face it- they are simply our best friends. With all of the pressures of holiday shopping, baking and other Christmas preparations, our pets often tend to be a bit neglected during the holiday season. Many times, it isn’t until Christmas morning that we realize that we have purchased everything on our shopping lists- except for Rover and Fluffy. Believe it or not, I have actually heard people say that “animals don’t know it is Christmas time anyway; why bother with pet gifts for Christmas?” My response to that comment is typically something to the fact that babies don’t know that it’s Christmas time either, but we buy gifts for them! The whole point of giving gifts during the holiday season is to show our love, appreciation and gratitude to everyone who is important to us- including our pets. 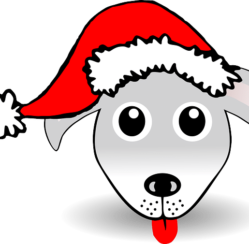 If you are searching for something special to give your own pets this holiday season, there are some really great items that would make excellent pet gifts for Christmas, and believe me- your four legged friends will be very grateful! Before you head out into the wintery weather to find the perfect gifts for your pet(s), evaluate things like the type of pet you have, the kinds of things that would make pet ownership more enjoyable for both you and your pet, and- you guessed it- the types of things your pet enjoys doing. This list will only take a few minutes, and it can save you hours of frustration and likely a few extra bucks in the long run. Small dogs, especially those with thin or short fur, can become chilled easily when winter time sets in. Consider a warm shirt or cozy coat to help your pet stay more comfortable this holiday season. If you have a dog that spends a lot of time outside, check into a roomy dog house to keep him protected from the elements like rain, snow, and even the sweltering summer sun. Cats are typically very playful animals. Even the laziest of kitties seem to like playing with toys like balls, ribbons, and dangly items. Purchase pet food and treat containers to keep your pet’s food fresh throughout the year. One of my favorites? The Harry Barker Storage Can for Dogs is at the top of the list! Do you take your pet on frequent walks? Consider purchasing a new leash for your outdoor adventures this holiday season. The Organic Bamboo Double Layer Leash is an excellent choice for all sizes of cats and dogs, and is offered in a variety of naturally inspired colors as well. Offer your pet a special treat this Christmas. Various companies even offer creative pet gift baskets that are filled with gourmet pet treats for your special four legged friend. 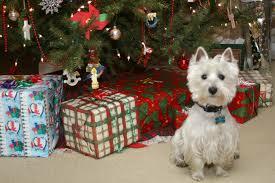 Do you typically purchase Christmas gifts for your pet?